The research on the patented ZMA® in TruZMA proves it is an essential supplement for everyone in the fitness community, male or female. Below is a summary of the impressive human research done on NCAA football players taking ZMA. Along with its remarkable abilities, TruZMA provides a great source of zinc and magnesium in high quality forms...forms that are actually absorbed. TruFulvic is an up and coming ingredient that combines perfectly with ZMA. This high quality purified shilajit has been researched twice in the journal of Andrologia showing positive effects on testosterone [2,3]. Take TruZMA prior to bed for best results. This works well as a sleep aid, and I want to think (but can't prove) the shilajit works. It really seemed to, but... I suspended my tests because this compound had a too-strong laxative effect on me. I'd take it at bedtime, and I'd be running (literally) for a toilet around 5am. Nice to clean me out before running or swimming, but not very graceful (or timely) in the way it does it. Product works great. I get a better nights sleep and much deeper sleep. I have been using it for the last 2 months, every single night. 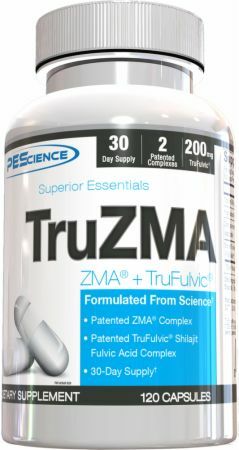 TruZMA has worked well for me when trying to sleep at night after a long day. This brand works better so I don't have to use additional Melatonin based supplements. The directions recommend taking the capsules 30 to 60 minutes before bed, but I recommend taking them 90 to 120 minutes before you actually want to start your sleep. This gives it more time to get in your system. Really good sleep and muscle recovery aid. I love the way I feel when I wake up in the morning!! Taking TruZMA before bed has helped me get a great nights sleep and I do NOT wake up feeling groggy. 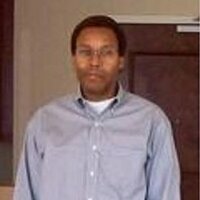 A very important aspect in a sleep agent! I sleep like a BABY on this! I have tried so many sleep aids- and this is my chosen lover. Good dreams, wake up REFRESHED and not groggy! I take 3 before bed and get ready for a nice sleep! Directions For TruZMA: Men: Take 4 capsules 30-60 minutes before bed. Women: Take 2-3 capsules 30-60 minutes before bed. Warnings: This product is intended to be consumed by healthy adults 18 years of age or older. It is designed for individuals interested in bodybuilding who generally do not have health problems. Pregnant or nursing women should not use this product. Consult with a licensed physician before using this product, especially if you are taking any prescription, over the counter medication, dietary supplement product, or if you have any preexisting medical condition including but not limited to: high or low blood pressure, high or low cholesterol, cardiac arrhythmia, stroke, heart, liver, kidney or thyroid disease, seizure disorder, psychiatric disease, osteoporosis, diabetes, difficulty urinating due to prostate enlargement or if you are taking a MAO-B inhibitor or any other medication. Do not take this product if you have been diagnosed with prostate cancer, testicular cancer or breast cancer. Discontinue use 2 weeks prior to surgery. Discontinue use and immediately consult your health care professional if you experience any adverse reaction to this product. Do not exceed recommended serving. Do not use if safety seal is broken or missing. KEEP OUT OF REACH OF CHILDREN.